For ages, the battle has raged between those who say that drug addiction is a disease and those who say it is a choice. Both parties of the debate would probably stop quarreling if a simple distinction would be understood. There is a difference between the initial use of a drug and the continuing use of the drug with respect to this issue. When a person first takes a drug, in most cases they have free will with respect to their decision. It is a real choice to take the drug. Therefore, in some sense, a person is responsible for their problem. It should be mentioned, however, that many people who have substance abuse problems have mental conditions that predispose them to addiction. A person with a mental disorder is, in some sense, not completely responsible even for first taking the drug. What is also the case is that young people have impaired ability to choose as a result of ordinary development. We should say, therefore, that a child or teen is not completely responsible for their initial drug use. Some may debate this, however. Most researchers now hold that addiction actually alters a person’s ability to make wise choices. This point must be emphasized: A person who is an addict has brain changes that actually make it harder to make wise choices. For this reason, addiction can be considered to be a disease and not a choice. Drugs alter brain chemistry. When a person first takes a drug, it causes The brain’s reward system to be overflowed with dopamine. This is what causes the characteristic high that drugs engender. Over time, continued release of this chemical causes changes in the brain systems involved in reward, motivation, and memory. As these changes occur, the person may need the drug just to feel normal. Also, the person will develop intense cravings for the drug. So, we see that the person who started taking the drugs is not the same person biologically as the addict. It would seem to be silly to deny the research that says that there are real biological changes that affect the brain in a way that impairs a person’s ability to choose. However, we must mention one more thing with respect to this that is important. While a person definitely is impaired and sick when they are addicted, it is again the free will of a person that allows the choice to go into recovery. Since it is so difficult to make that choice, real willpower is necessary to make the admission and seek help. So, we see that the debate rests upon confusion. The real truth is that there is a mixture of responsibility and sickness that determine a person’s situation. However, since the body undergoes real changes as a person becomes addicted, addiction in the primary sense must be considered to be a disease. What must be remembered is that addiction is a chronic disease that will last a person’s whole lifetime. Many times, a person will go into recovery, only to be threatened with multiple relapses down the road. Despite the fact that addiction is primarily a chronic illness, the hopeful news is that the condition can now be treated and managed. Rehabilitation that consists of medication and behavioral therapy is considered to be the most promising form of recovery. 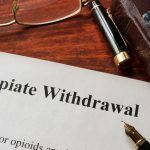 If you should have any doubt as to whether addiction should be defined as a disease, the following fact may influence your opinion: Addiction is defined as a disease by most medical associations. These include the American Medical Association and the American Society of Addiction Medicine. Similar to diseases like diabetes, addiction results from a combination of behavioral, environmental, and biological factors. What is interesting to note is that genetic history is responsible for about half of the probability that a person will become addicted. Many people in this country start using drugs as a young person. The peer pressure to use illicit substances can be enormous and too much for a child to handle. For this reason, it is important to have public and private programs in place that will work with children so that they will see the real effects of using drugs down the road. It is important to know that while children do have some moral choice, they are extremely affected by their adult family members and friends. It is noted that preventative programs have a real impact on the choices that young people make. The upshot of all this is that addiction is a real disease, but people also have real choices in their lives. For this reason, addiction is best treated by the medical establishment as a disease and by individuals as a combination of a medical problem and a life choice.